Rottweilers love to eat. They will eat just about anything you give them. That does not mean that you should feed them just anything. 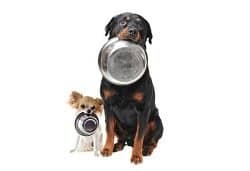 There are plenty of foods that are perfectly ok to share with your dog, but there are also quite a few that could make your dog sick or even die. It is so important to make sure your dog eats a healthy diet. There are so many things that we think are perfectly fine to feed them, but just incase you are unaware of the dangers, I wanted to make a list of foods that are never ok to feed your dog. Chocolate is extremely toxic for dogs. Chocolate contains caffeine and theobromine which belong to a group of chemicals called methylxanthines. The darker the chocolate, the higher the risk of toxicosis. White Chocolate contains the lowest amounts of theobromine, and is the least toxic of the chocolate family. 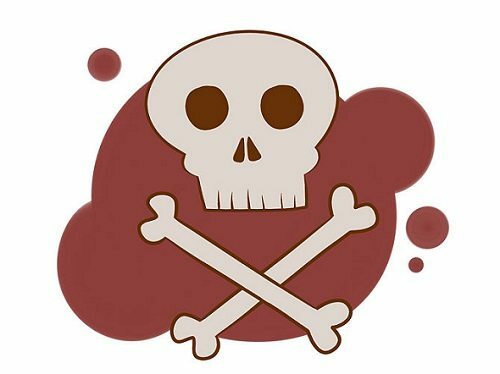 Dark Baker’s chocolate contains high amounts of theobromine and chemicals, while dry, unsweetened powdered cocoa contains the highest amounts of these chemicals and is very dangerous if ingested by your dog. Depending on the type of chocolate your dog ingest depends on the severity of symptoms which can occur. These can range from increased thirst, vomiting, abdominal discomfort, restlessness, irregular heartbeat, muscle tremors, elevated body temperature, seizures, and possibly even death. 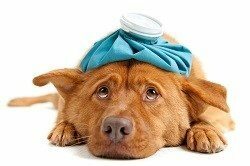 If your dog is experiencing anything more severe than mild abdominal discomfort, it is encouraged that you seek immediate medical attention. Bread dough contains live yeast. When ingested and enters the warm environment of the stomach, it will expand, like yeast tends to do. This can cause serious abdominal problems. It can even potentially expand to the point where it cuts off the blood flow to the stomach and the tissues in and around the stomach can die. It can also expand to the point where it presses against the diaphragm which can cause serious breathing problems. Even more important, when yeast multiplies, it also creates alcohol which is absorbed by the dogs body. This can cause intoxication. It may sound funny to have a drunk dog, but this is nothing to laugh at, because it could potentially be deadly if ignored. While discussing alcohol intoxication, I would like to mention that Rottweilers should never consume ethanol. That includes ethyl, grain, and drinking alcohol. Just like in the bread dough, the alcohol can cause serious intoxication due to dog’s being very sensitive to ethanol. Signs that you can watch for are distended abdomen, disorientation, lack of coordination, stupor, vomiting, or attempt to vomit. In extreme cases, it is not uncommon for your dog to experience seizures from ingesting bread dough, and in some cases can cause death due to alcohol intoxication. If your Rottweiler is experiencing anything more than mild abdominal discomfort, you should seek immediate medical attention. If your dog is visibly intoxicated and stumbling to the point of falling over or walking into objects, they should be monitored by a medical professional until these symptoms have cleared up. Grapes and raisins can cause kidney failure if ingested by your Rottweiler. There have been cases where only ingesting a few grapes or raisins have caused dogs to develop life­threatening problems. It is still unknown as to why they cause toxicosis, but it’s best to avoid feeding your dog grapes and raisins. Signs to watch for if your dog is experiencing toxicosis are vomiting, lethargy, and diarrhea. In advanced stages of toxicosis, you may see increased lethargy, dehydration, refusal of food, an increase in urination, followed by decreased or absent urination. Death could occur with in 3 or 4 days of ingestion due to kidney failure. It can also cause long­term kidney disease. If your dog is experiencing any of these signs, seek immediate medical attention! You should steer clear from feeding your Rottweiler anything in the onion family. This includes garlic (which is the strongest and most toxic), shallots, onions, scallions, chives, and leeks. They all contain compounds which will damage your dog’s red blood cells. It is even more dangerous for your Rottweiler to get a hold of dehydrated onions, onion soup mix, and garlic powder. In raw form, they would have to ingest quite a bit to have severe effects. You may not see the effects from the red blood cell damage for 3 to 5 days after consumption of the vegetables. You may notice your dog is weak and lacking motivation to move. Their urine can also become orange­tinged, or a dark red color. If you see these symptoms, contact your vet immediately and have them checked out. In severe cases, a blood transfusion may be necessary. This is artificial sweetener used in sugar­free gum, sugar­free packets (like for tea or coffee), and sugar­free baking goods. It is also highly toxic to your Rottweiler. Ingesting xylitol can cause your dog’s blood sugar to drop rapidly, causing them to potentially become disoriented or even have seizures. This can occur anywhere from 30 minutes to several hours after ingestion. This can cause liver failure, which can be deadly. If your dog has ingested xylitol, seek immediate medical attention for your dog. 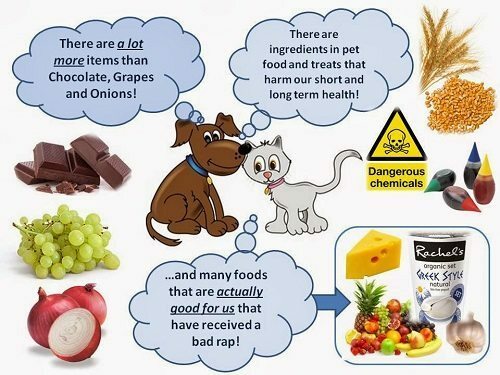 It is so important to watch what our dogs eat. Please make sure you keep these foods out of your Rottweiler’s reach. Do not leave your onions, garlic, grapes, raisins, chocolate, chewing gum, artificial sweetener packets, bread dough, or alcohol out where your dog can get a hold of it. Do not leave them on your table, counter, or anywhere they can reach. Keep these items either in your cabinets or in your refrigerator. If you are not sure if a food is going to be poisonous to your Rottweiler, then do not feed it to them. It is not worth the risk of putting their health and potentially their lives in danger. If your dog has ingested, or you fear they have ingested any of these poisonous foods listed, call your vet immediately, or take them to an emergency vet care facility.